Much of the world, including the entire European Union, grounded the Boeing jetliner involved in the Ethiopian Airlines crash or banned it from their airspace, leaving the United States on Tuesday as one of the few remaining operators of the plane involved in two deadly accidents in just five months. The Federal Aviation Administration's acting head Daniel K. Elwell said in a statement Tuesday that it is still reviewing "extensively" data and safety performance reports. He echoed the agency's previous statements that if issues are found in its investigation the "FAA will take immediate and appropriate action." The European Aviation Safety Agency took steps to keep the Boeing 737 Max 8 out of the air, joining Asian and Middle Eastern governments and carriers that also gave in to safety concerns in the aftermath of Sunday's crash, which killed all 157 people on board. Referring to the Lion Air crash in Indonesia that killed 189 people last year, European regulators said that "similar causes may have contributed to both events." British regulators indicated possible trouble with a reportedly damaged flight data recorder, saying they based their decision on the fact that they did not "sufficient information" from the recorder. Turkish Airlines, Oman Air, Norwegian Air Shuttle and South Korean airline Eastar Jet were among the latest carriers to halt use of the Boeing model. Ireland, the Netherlands, Malaysia, Australia and Singapore suspended all flights into or out of their cities. A Turkish Airlines official said two Britain-bound planes returned to Istanbul after British airspace was closed to the aircraft. The official spoke on condition of anonymity because he was not authorized to speak publicly. 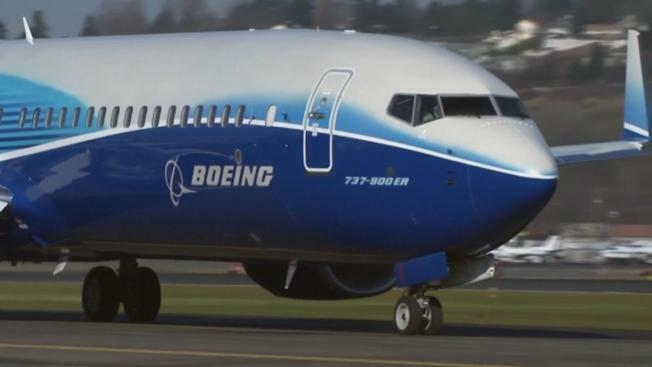 U.S.-based Boeing has said it has no reason to pull the popular aircraft from the skies. It does not intend to issue new recommendations about the aircraft to customers. 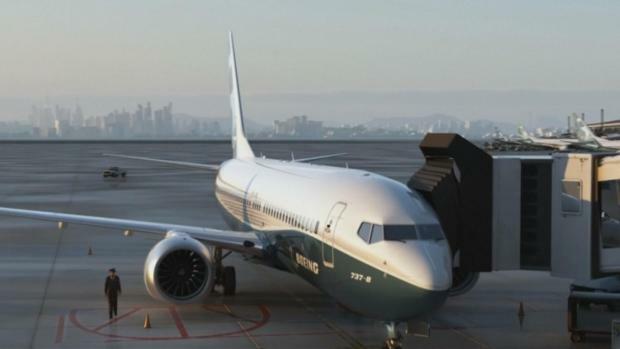 Boeing's CEO Dennis Muilenburg also spoke with President Donald Trump and reiterated that the 737 Max 8 is safe, the company said. Its technical team, meanwhile, joined American, Israeli, Kenyan and other aviation experts in the investigation led by Ethiopian authorities. Some U.S. airlines expressed support for the Boeing model, and American Airlines and Southwest continued flying them. A vice president for American, the world's biggest carrier, which has 24 Max 8s, said they had "full confidence in the aircraft." Safety experts cautioned against drawing too many comparisons too soon with the Lion Air crash in October. But others in the U.S. began pressing for action. Consumer Reports called on airlines and the FAA to ground the jets until a thorough safety investigation is complete. Even President Donald Trump weighed in, tweeting that additional "complexity creates danger" in modern aircraft and hinders pilots from making "split second decisions" to ensure passengers' safety. He did not specifically mention the crashes but said, "I don't know about you, but I don't want Albert Einstein to be my pilot." The Ethiopian Airlines plane crashed six minutes after taking off for Nairobi, killing people from 35 countries. A pilot who saw the crash site minutes after the disaster told the AP that the plane appeared to have "slid directly into the ground." Capt. Solomon Gizaw was among the first people dispatched to find the plane. The wreckage was discovered by Ethiopia's air force. "There was nothing to see," he said. "It looked like the earth had swallowed the aircraft. ... We were surprised!" He said it explained why rescue officials quickly sent bulldozers to begin digging out large pieces of debris. Ethiopian Airlines, widely seen as Africa's best-managed airline, grounded its remaining four 737 Max 8s until further notice. The carrier had been using five of the planes and was awaiting delivery of 25 more. As night fell, the airline offered no new updates on the investigation. 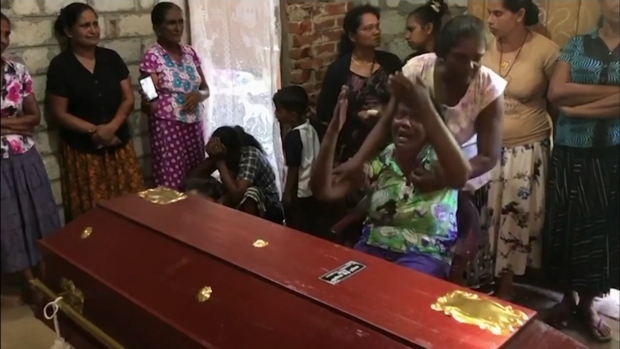 An airline spokesman said victims' remains should be identified in about five days. Some insights into the disaster and its cause could take months, aviation experts said. "The conclusions that will come out of its probe will be beneficial to the rest of the world," Ethiopian Prime Minister Abiy Ahmed said Tuesday at a news conference with visiting French President Emmanuel Macron. "These types of accidents break everyone's heart. I hope we will learn from this crash." On Tuesday a group of officials from China, which also grounded planes, paused in their work at the scene to reflect with an offering of incense, fruit, bread rolls and a plastic container of the Ethiopian flatbread injera. As the global team searched for answers, a woman stood near the crash site, wailing. Kebebew Legess said she was the mother of a young Ethiopian Airlines crew member among the dead. The British ambassador to Ethiopia, Alastair McPhail, visited the scene where at least nine of his countrymen died. "We owe it to the families to understand what happened," he said. Meseret reported from Addis Ababa. Associated Press writers David Koenig in Houston and Suzan Fraser in Ankara, Turkey, contributed to this report.